But if you do (and even if you don’t), you’re bound to love at least one of these simple DIY face scrub recipes. Some of them are so scrumptious, you’ll have a hard time slathering them on your face without taking a little nibble. Whether your concern is more moisture, less oil, fewer fine lines or brighter skin, you can whip together a pretty fantastic deep cleaning scrub in no time with items in your fridge and pantry. This gentle exfoliator will keep up to six months in your refrigerator. 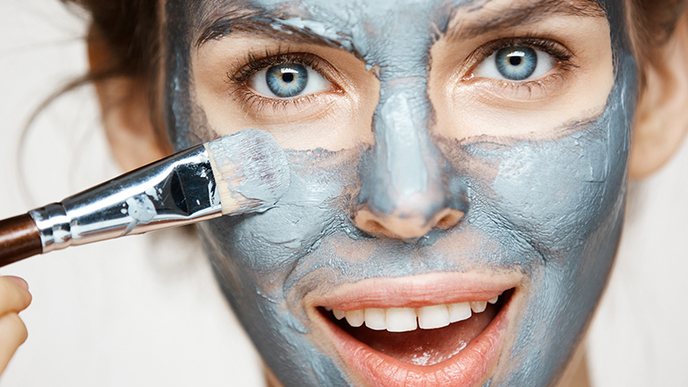 Depending on your skin type, you should work exfoliating into your skin regimen at least once a week. Benefits: Oatmeal and lavender have soothing properties and lactic acid in the powdered milk works as an alpha-hydroxy. Your skin will be ultra moisturized and refined after this deep clean. The only tool you need for this zesty scrub is a blender. Ingredients: 2/3 cup chopped fresh pineapple, ¼ cup cold-pressed olive oil, and ¼ cup freshly chopped parsley. Directions: Pulse pineapple in a blender and add oil until almost smooth. Add parsley and blend carefully so as not to liquefy. Apply to face and leave on for 15 minutes. Benefits: The pineapple enzymes work to dissolve dead skin cells almost like a chemical peel. The result is super soft skin. For the DIY averse, this is the scrub for you. Simply add a pinch of coarse brown sugar to your regular cleanser and gently scrub in a circular motion all over your face. Sugar draws moisture to the skin and gently sloughs off dead skin cells. Voila!